For The Best Party Ever, Give Talent Manager Rick A Call Anytime At (678) 480-8743 For Unlimited Music Planning! Here Are Some Frequently Asked Blast Band Questions. Prices range depending on several factors. Please call us today at 678.480.8743 to discuss talent options. Please tell us what the perfect band would be all about, how many folks will be there and your main objectives. 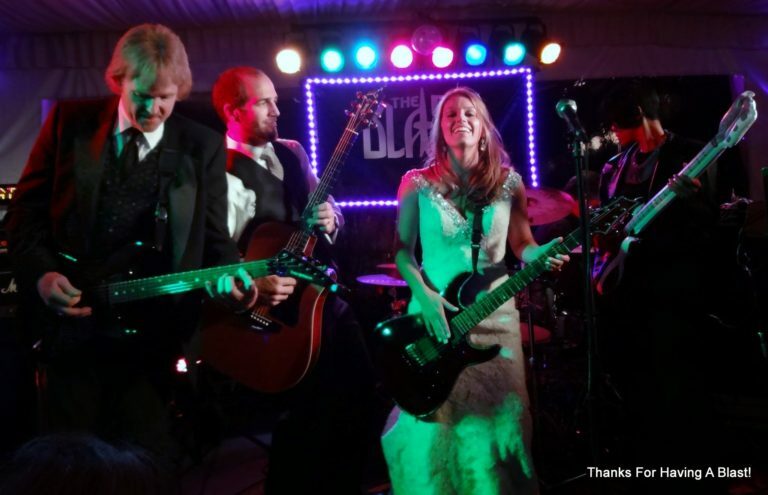 The Blast Band has been together since 1996 and have performed hundreds of fun, memorable & successful events. Please check out our customer reviews and learn more about the Award-Winning Blast Band! What is it about your band that makes you unique? A lifetime of dedication to our craft and a fanatical devotion to quality, service and customer satisfaction. How many tunes do you know and what genre? We know hundreds and hundreds of tunes! We perform new school, old school and everything in-between. Does the total investment include the hours spent rehearsing and preparing for my event? Yes! We work with you to make sure you have the best celebration ever! Yes. Our music service has been creating a lifetime of awesome memories for the special customers we serve since 1987. Will you work with us on putting together the perfect event as we see fit? Absolutely! The secret to our success is finding out what the perfect event is for you and then giving it to you. What sort of sound & lighting equipment do you bring? We bring a great sounding speaker system and stage lights so your event will sound, look, and feel fantastic! We typically like to arrive 3-4 hours before the guests start arriving. What sort of initial investment do you ask for? half the day of the special occasion. No. We do ask that the band performance area be flat and relatively close to electricity. How big of a stage area do you need? Typically we ask for a 12 ft. deep x 24 ft. wide area depending on the size of the band. We can condense the performance area if needed. Do you have back up gear in case of technical difficulties? Do you have reserve talent available in the event someone comes down with the flu? Will my guests, family and friends have A Blast if I place my buying decision with you? Have A Blast at your event and you will look like a party planning genius! You can forget about falling victim to a lame party! Your satisfaction is always guaranteed! Please see our customer reviews! My event is outside, do I need to provide covering for the band and gear? Yes. If a dark cloud comes by and it starts to rain, it is impossible to grab all the gear and run for cover because everything is all wired up.